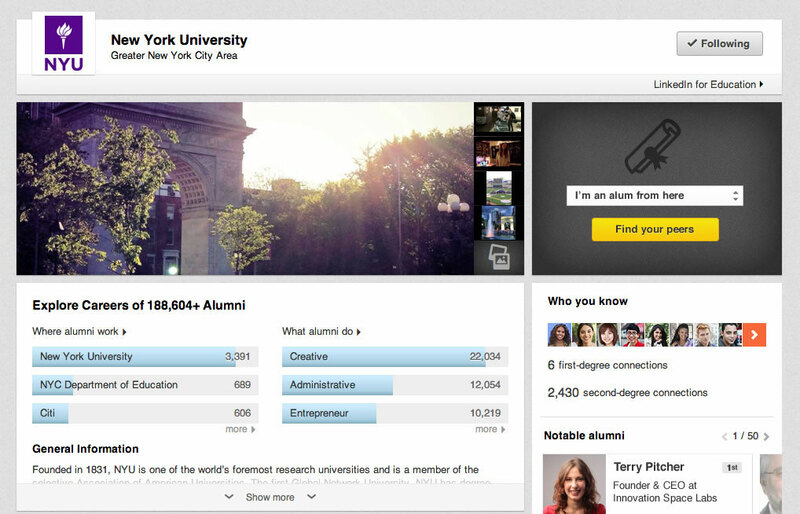 Professional social network LinkedIn is taking on the education space with the launch of pages for universities. The concept is similar to what companies currently have, except it’s for academic institutions to target prospective and current students, alumni, teachers, parents, and others and keep them up to date on what’s happening in the community. This academic program is launching today with 200 universities participating worldwide, including INSEAD, New York University, University of Michigan, Fundacao Getulio Vargas, Rochester Institute of Technology, and the University of Illinois. More are planned in the future. 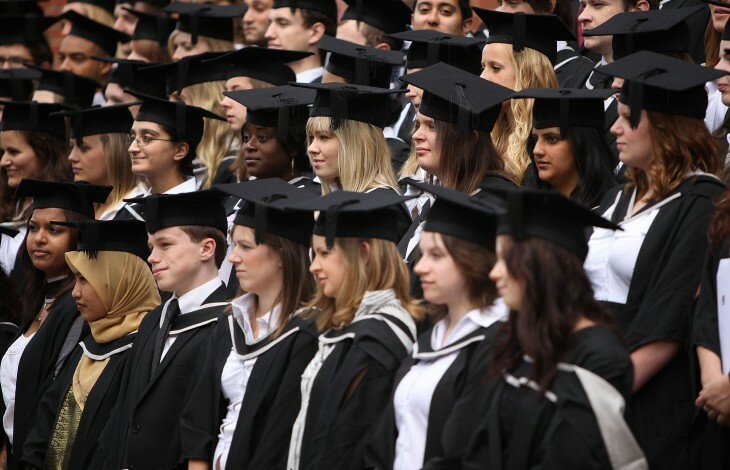 Finding ways to appeal to its student base is a necessary step LinkedIn needs to take. After all, the professional social network is made up of 30 million students or graduates, making up nearly 13 percent of its 238 million members. Three years ago, my daughter and I took a road trip to visit schools before she made her final decision about college. I was hoping she’d stay in California, but it wasn’t looking good. She’d fallen in love with a university 2,500 miles away, and I had to admit it was the best choice if she wanted a great robotics program and an equally good music school. How it works is that a university will set up a page for its community and will use it just like they would with a Facebook Page. On LinkedIn, site managers can post announcements and updates to their timeline for anyone who’s following them to see. In addition, a targeted message can be delivered to LinkedIn user based on their geographic location. So, if NYU is holding a recruiting session in the San Francisco Bay Area, for example, they can target people specifically in that part of the world. Each page offers a set of useful tools to help universities conduct outreach. One of which happens to be an “Explore Careers” section where students can find out more about who’s attended the school and where they’ve gone after graduation. It looks at where alumni now and what are they doing — perhaps useful to help you avoid picking schools where you’re going to get a degree in engineering, but the alumni work in financial institutions. The page also includes a selection of notable alumni that LinkedIn’s algorithm has selected. In the future, the company will allow site administrators to hand curate who appears in this section. Other noteworthy tools include listing of similar schools and other related pages. 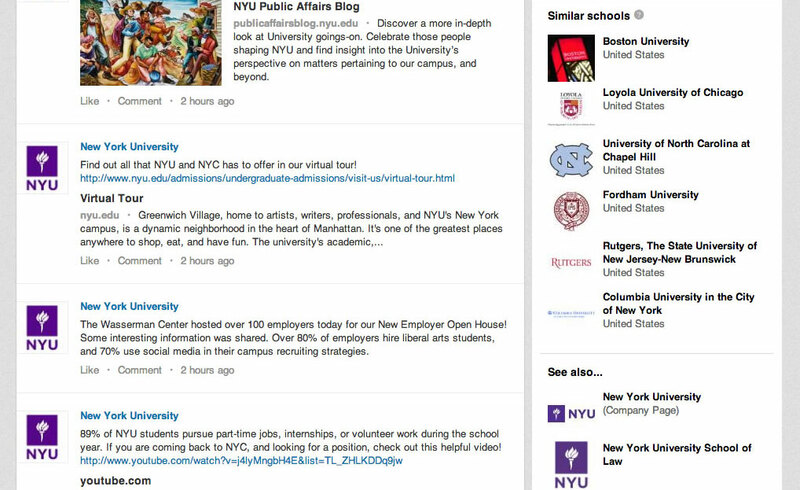 LinkedIn’s university pages could be thought of like a cross between the annual U.S. News and World Report college rankings, an alumni newsletter, and a campus visit. A bit random, I’ll admit, but the service is a useful recruiting tool to help prospective students better assess their academic options. Furthermore, it’s a helpful tool in making sure that alumni are not only kept abreast of what their alma mater is doing, but so that the school knows how to reach its previous students for help. Some might argue that universities should probably resort to using social networks like Facebook to reach out to students — after all, it’s perfect for that demographic. But when thinking about college and a potential professional career afterwards, LinkedIn probably doesn’t seem too far-fetched.